This autumn, Canon introduced a number of new, interesting products including the EF 2.8/70-200mm L IS USM with a further improved image stabiliser and faster autofocus. German wildlife photographer Uwe Walz was fortunate enough to be amongst the first to test this new IS-lens. The Canon EF 2.8/70-200mm L IS USM is a true multipurpose lens and, along with the two new converters, it can well compete with the EF 100-400mm L IS USM, with only some minor restrictions. I have tested the lens with both, the 1.4x and the 2x converter and even with the two at the same time. The tests clearly showed that over the complete focal length range the lens' performance fully matches corresponding fixed focal lengths. When using the converters you have a telephoto lens of 4.0/280mm maximum with the 1.4x converter and of 5.6/400mm maximum with the 2.Ox converter. lf that won't do, the combination of the two converters results in a 8.0/200-560mm telephoto zoom. The image stabiliser works perfectly even with this combination. However, it requires at least one converter of the new generation. Without it, the converters can be stacked only with a short extension tube as a spacer. I used the new 2x converter II for the test pictures. In my opinion this converter provides a better performance than its predecessor; the pictures seem to be more brilliant. In addition, the two new converters come with an improved exchangeable rear cover which can be used with other lenses, too. Tin covers are finally a thing of the past. Wonders never cease? just when we think Canon have perfected their autofocus systems, they improve them further. The autofocus of the new IS zoom has become much faster and with the stabiliser you gain more than three f-stops, in my experience. When I started working with the lens I had the impression that the stabiliser had not been activated; it is a true low-noise device, almost completely silent. After touching the release with both the EF 100400mm L IS USM and the EF 4.0/600mm L IS USM, I always noticed the subject vibrating in the viewfinder for some few seconds. 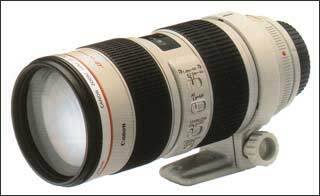 The EF 2.8/70-200mm L IS USM has put an end to this problem. I took perfectly sharp pictures at the 200mm focal length at shutter speeds of 1/13 sec., without a tripod. Proceeding from the general rule "reciprocal value of focal length = shutter speed" this result equals almost four f-stops. 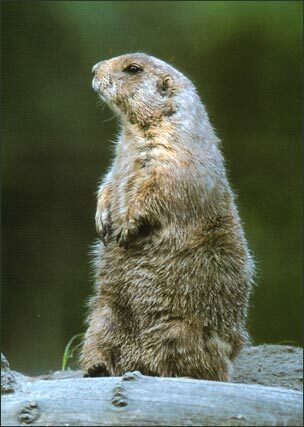 Prairie Dog (Cynomys ludovicianus) captive. I had no problems at all to take perfectly unblurred pictures with the 1.4x converter attached, a focal length of 280mm and an exposure time of 1/80 sec. More often than not, the exposure time for pictures taken in combination with the 2.0x converter, Le. at a focal length of 400mm, amounted to 1/30 sec. Here again, the stabiliser enhances the photographic possibilities by up to four f-stops. The pictures taken with a combination of the two con­verters at a focal length of 560mm were the absolute highlight. Even at this extreme focal length I suc­ceeded in taking sharp and brilliant photos at shutter speeds from 1/40 to 1/80 sec. - without tripod, free­hand. Furthermore I noticed that the weather- and dust-proof seal­ing of the diverse setting buttons and the bayonet has been further improved, now matching the sealing of the IS super telephoto lenses. There are just a few clouds to spoil this sunny report: many colleagues, and I agree with them, criticise the plastic bayonet of the lens hood which is also used on the EF 4.0-5.6/100-400 mm L and the 3.5-5.6/35-350mm. When you attach the hood to the lens, there is the friction of plastic on plastic. As a result, the bayonet does not snap in properly after intensive long-time use and the lens hood clatters loosely on the lens, as I have observed with my frequently used 100-400mm lens. A bayonet from metal could put an end to these problems. Moreover, I would welcome an additional macro setting and a close focusing distance below l,4m, similar to that of the 70­- 2lOmm lens. Available at approxi­mately EUR 2,800, the 2.8/80­-200mm L IS USM is more expensive than its predecessor, by almost EUR 1,000 to be exact - a fact which makes many photographers swallow hard in spite of the obvious advantages of the lens. All in all, the EF 2.8/80-200mm L IS USM is an excellent multipurpose lens, especially in combination with the two converters, and it enables sharp and brilliant photos at rather long exposure times without a tripod. As compared to its predecessor the performance of the image stabiliser and the speed of the autofocus have been further increased. 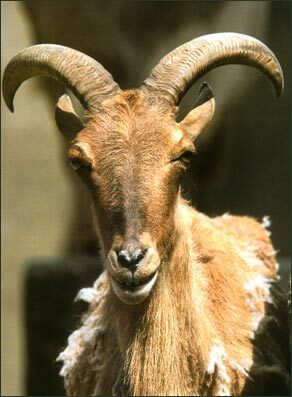 Barbary Sheep (Ammotragus lervia) captive. 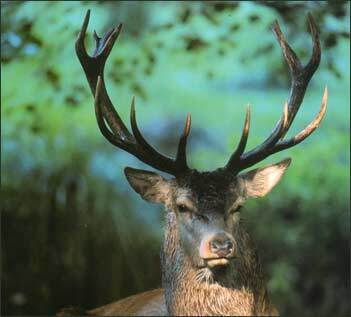 UWE WALZ (55) As wildlife and nature photographer he visits places all over the world. Besides numerous publications in magazines, books and calenders, he published a book on storks in cooperation with Fritz Pölking. 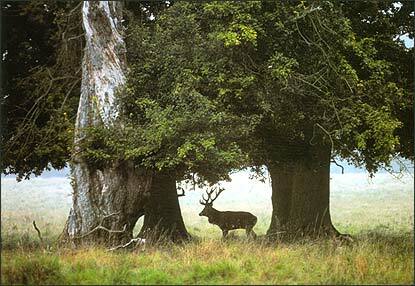 In 1999 he was winner of the categorie Animal behaviour" in the BG Wildlife Photographer of the Year competition.